Because it's been that kind of a week! Yoga & Wine: quite possibly the perfect pair. You, your friends won't have to think twice about this unique experience. Let your hair down and raise your class to up north living. Pure Prana Yoga Center for Wellbeing offers lodging at the Leelanau House on the Narrows Nest. 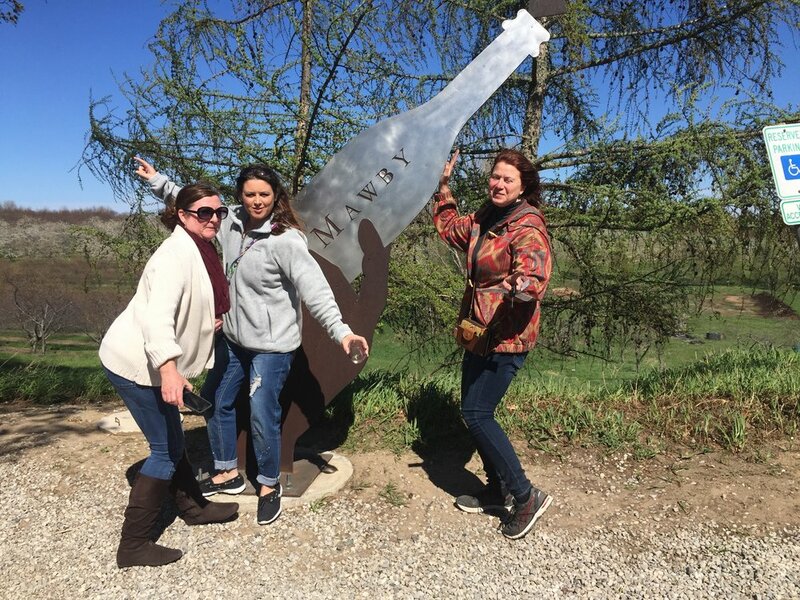 Local wineries, and Restaurants combine to provide an amazing weekend in beautiful northern Michigan. 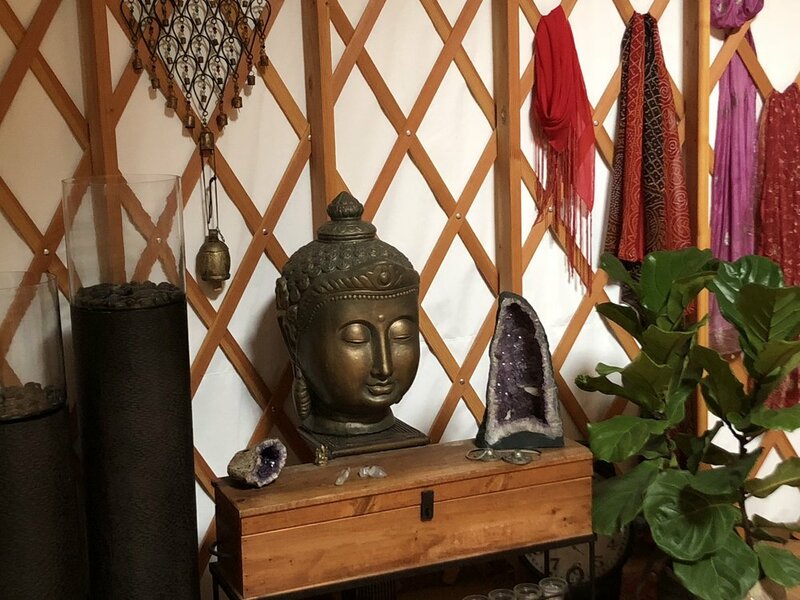 Weekend activities include Detox yoga classes, Infrared Sauna, Hot tubs, wine and food pairings, wine tours, as well as outdoor yoga and yoga in the Yurt. "That's right you can just relax"
"Don't want headaches do we"
Local Wine Tasting Tour. We will be visiting up to six local area Wineries. 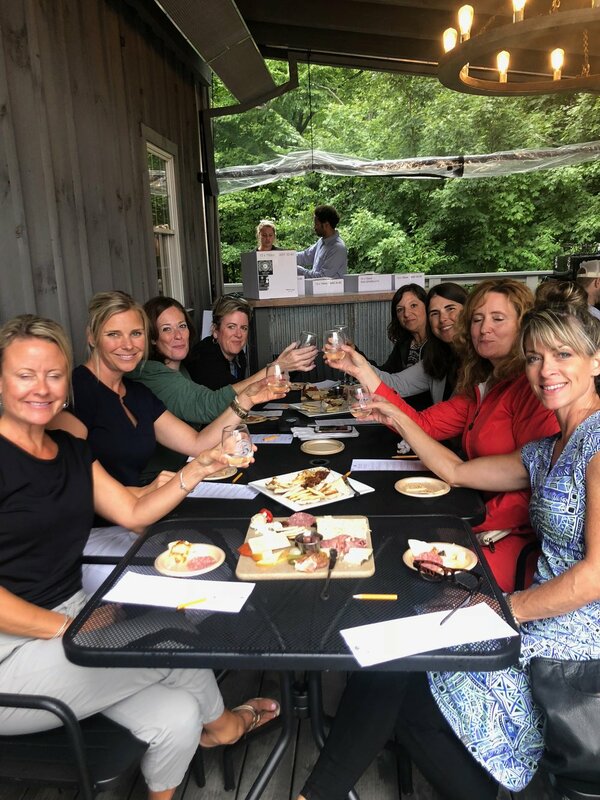 Cheers to Leelanau Peninsula ! Yoga & Meditation Class at the vineyard. In case of rain, the yurt studio will be used. You're on your own for more wineries ! 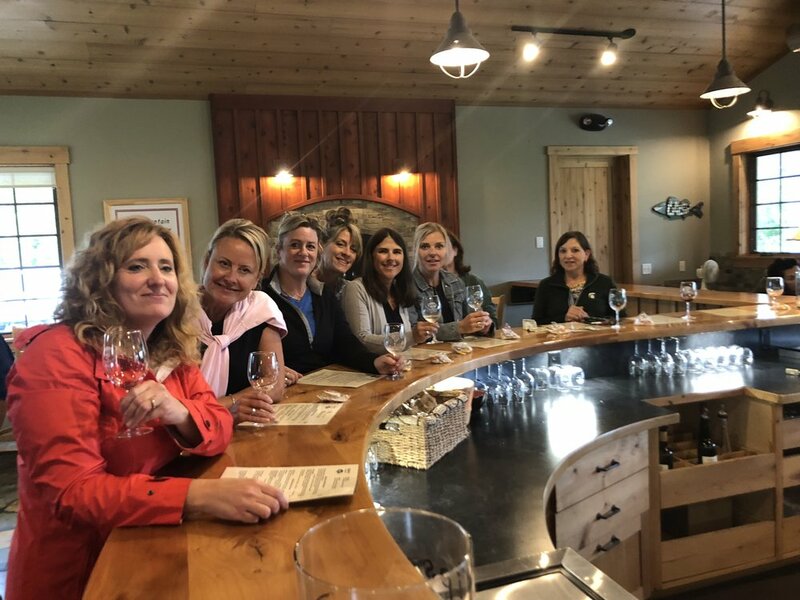 Enjoy The Lumbermen Lodge on Lake Leelanau Narrows Preserves for the YOGA and Wine weekend with your group of 8-12 friends. The package includes 2 nights lodging with late Sunday checkout, a wine cheese basket from our local wineries and local cheese makers. This 6 bedrooms 2.5 baths cottage offers infrared sauna, hot tub, meditation walking labyrinth, and Charkra garden. (after all, it's a center for wellbeing) Located directly on the wine trail and within walking distance to town. Mariann E-RYT 500 yoga instructor, will offer a specially designed class for detoxing and relaxation. Mariann at (989) 835-9642 for special pricing.